The series of gears that drive the lead screw are called change gears because you change them to turn different thread pitches. Changing these gears varies the speed that the lead screw turns in relation to the speed that the spindle turns. This allows you to cut threads with different numbers of threads per inch. This calculator determines the correct change gears for any thread pitch. In some cases, the combination of gears given will produce an approximation of the pitch you need. In these cases the error from the desired pitch is shown. Note that in most cases these variations are very small and the resulting thread will meet industry standards. Make the choices to define your lathe below before calculating a thread pitch. TPI mm Enter the desired pitch in TPI (Threads Per Inch) or millimeters (mm from crest to crest). Be sure to click the correct units option (TPI or mm). Lathe settings are at the bottom of this page. Mini lathes sold in the US have 16 TPI lead screws (known as "inch" or "imperial"). Mini lathes sold in most other parts of the world have 1.5 mm pitch (metric) lead screws. List the number of teeth on any non-standard gears you have (if any), separated by commas (,). The normal set of change gears includes the following gears: 20, 20, 35, 40, 40, 45, 50, 55, 57, 60, 65, 80, and 80 teeth. 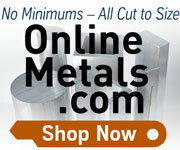 Choose 7x Mini Lathe for most 7x10, 7x12, 7x14, and 7x16 mini lathes. (with 21 Tooth Change Gear) Choose HiTorque Mini Lathe for LittleMachineShop.com HiTorque mini lathes and other mini lathes when a 21 tooth gear is available. A 21-tooth gear can provide closer approximations of metric gears for some desired pitches. HiTorque Bench Lathe Use this choice for the LittleMachineShop.com HiTorque 8.5x16 and 8.5x20 bench lathes. This calculator will work for most lathes that use four change gears. Enter all gears in the change gear set, including duplicates and the gears that are mounted on the lathe for regular turning. A-B min is the total number of teeth on the two smallest gears you can mount in the A & B positions. A-B max is total number of teeth on the two largest gears you can mount in the A & B positions. Likewise C-D min and C-D max. If you don't enter anything we will take a guess, but it might produce results that are physically impossible to mount. Try a couple of thread pitches for which you know the answer to ensure you are getting correct results.